Today, the folks at TheHaystack.Tv, which is a media hub for Adventists who like to make cool videos on YouTube or Vimeo, organized an amazing event--something Antonio the Armadillo had never thought he'd go to. 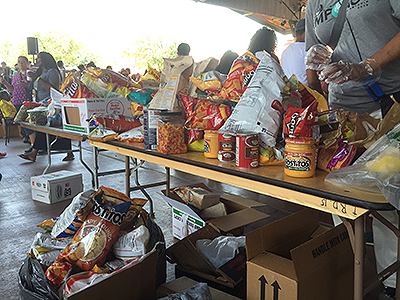 They organized what they hoped would be the world's largest potluck and invited the folks from the Guinness Book of World Records to see if they'd break the previous record of 1,275 people at a potluck in Arizona last year. Well, they came close, but it wasn't meant to be. The folks here in San Antonio recorded a little over 1,100 attendees at today's haystack meal. But that's still a pretty amazing achievement. 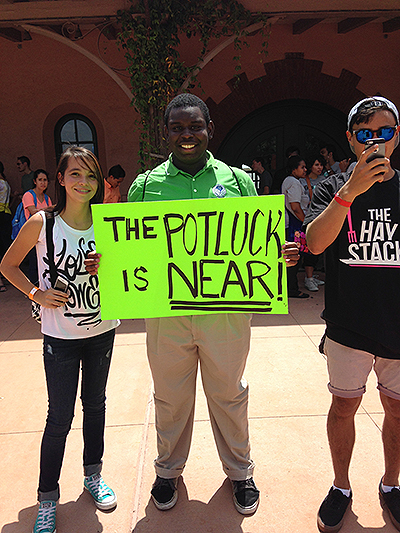 Organizers decided to do that here because of all the Adventists in town for GC and as TheHaystack.Tv founder Jeff says, "We Adventists know how to do potlucks and know how to do them well." Haystacks, while delicious also are a symbol for something that it means something for all Adventists. Like haystacks, "everyone has something they can contribute," says Jeff. "Each person can bring an ingredient and yet we can all create our own individual preferred haystack. There is no one way to do a haystack. It's a great illustration of how we can be as a church." Next time you sit down to enjoy a tasty plate of haystacks, think about how each ingredient is different and yummy on its own, but put together, makes something really amazing. That's kind of like our family of God, huh? This is the official representative from the Guinness Book of World records. We’re not sure he’s ever had haystacks before. Here’s how we found our way to the big event. Cool folks from the Highland Hills church here in San Antonio were representing! And yes, everything is bigger in Texas. The crowd got bigger and bigger (and the sun made it hotter and hotter). 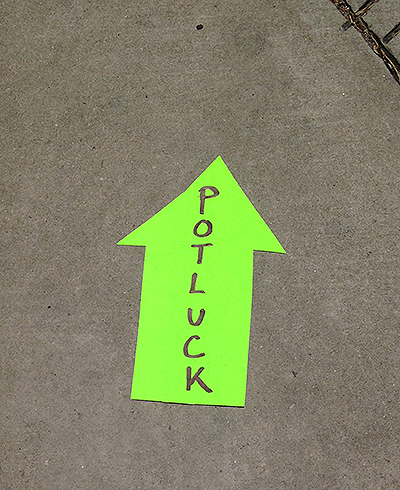 To get in, you had to bring some food to share—just like a potluck should be! Volunteers were busy making lots of haystacks to feed the mass of people! 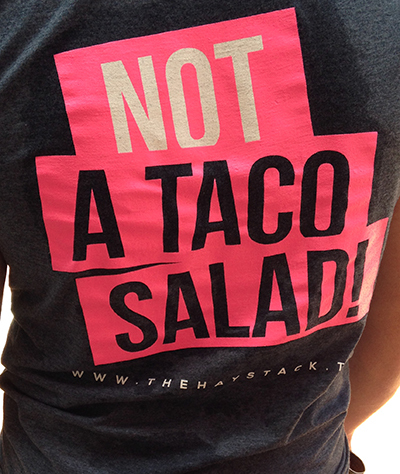 In case there was any confusion about what a haystack really is. And here’s what all the hoopla was about!